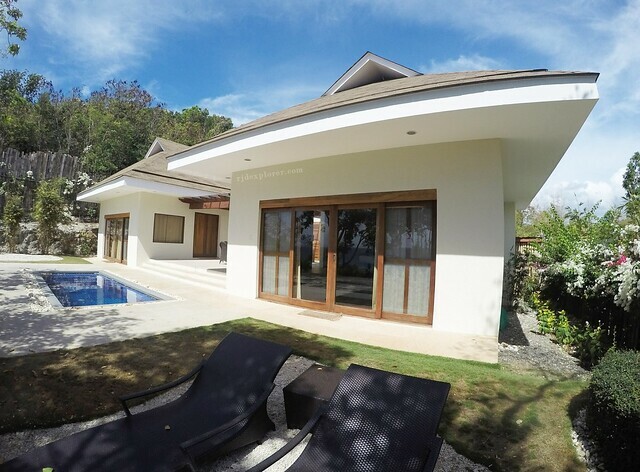 Escape your dreary routine and enjoy the comforts of an island getaway in Southern Cebu. Explore the island and you will find yourself appreciating the lush scenery of the famous Sumilon Island. 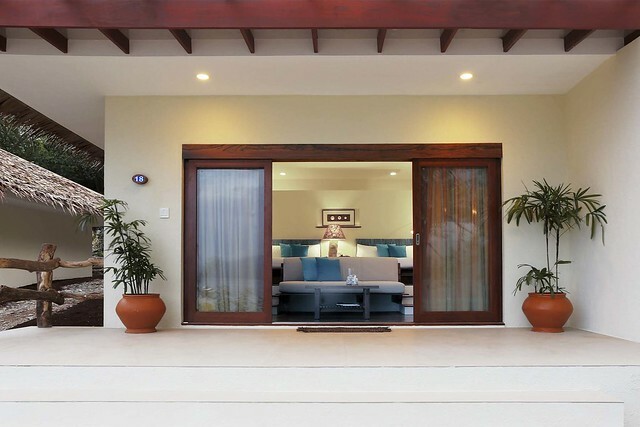 To raise the bar, a stay in Bluewater Sumilon Island Resort will make your getaway blissful and extraordinary. View of the room already brings bliss to anyone. The soothing scent of lemon grass welcomed us in Bancogon Port as we settled to wait for the ferry ride to the island resort. Everyone received a glass of invigorating lemon grass tea for welcome drinks with a staff giving an orientation on the different areas of the resort and the possible activities that can be done. With the numerous activities mentioned, we find ourselves finalizing our schedule on our stay in the island. Welcome drinks and the “walkway to the island”. The 15-minute boat transfer was a rough one but was calmed by the charming view of the sandbar where we docked. The security greeted us and led us to the resort’s tram that transferred us to the pavilion for check-in. Checking-in was a breeze and upon completion of the form, the front desk officer offered us buffet lunch by the beach. Yes was a default answer. Free transfers from Bancogon Port to Sumilon Island. When we got back from the beach area dotted with bamboo cottages, a resort attendant led us to our abode for our weekend stay in Bluewater Sumilon. A welcome note, a fresh fruit platter, and a bottle of their signature lemon grass tea were waiting for us inside our cozy and impressive room. Different hues of blue for the comfy pillows, headboard, and decorative bed cover literally bring nippy atmosphere to the mood of the room, a temptation that is hard to resist. 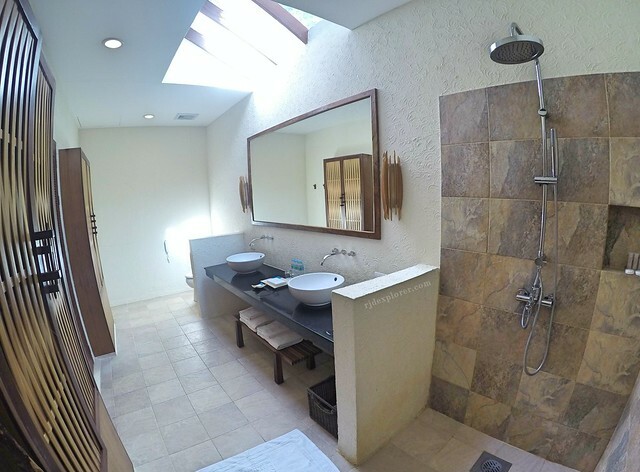 Our Premier Deluxe Room for a weekend stay in Bluewater Sumilon. Our room is already expansive but wait until you see the bathroom equipped with hot and cold shower, and complete toiletries, fresh towels, and slippers. Vanity mirrors covering the entire wall are everywhere in the room. For guests who plan to stay longer in the island resort, cabinets and drawers are also available for storage. Aside from the comfortable queen-sized beds, every room has its own private veranda, minibar, cable TV, and telephone. Cartwheels in the bathroom? Why not!. From the tiring bus ride from Cebu City and the short Oslob tour we had, I found myself having a short nap on a hammock under the shade of a tree just in-front of our room. The crashing waves and the sound of the cool breeze from the sea made my eyes surrender and casted under a spell of relaxation. In addition to the hammocks are some lounge chairs you can use in viewing sundown or just staring at the green to blue colors of the sea that surrounds the island. 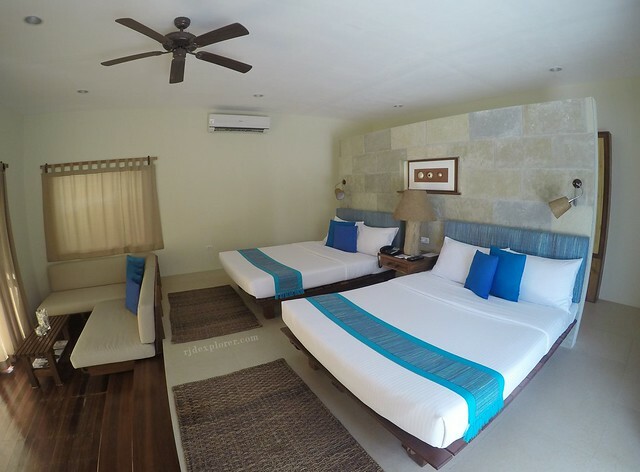 Bluewater Sumilon Island Resort provides an intimate island getaway and also assures a serene destination from the hustles and bustles of the city. The different accommodation types available are Deluxe Room, Premiere Deluxe Room, Honeymoon Villa, Family Villa, and the Glamping Site. 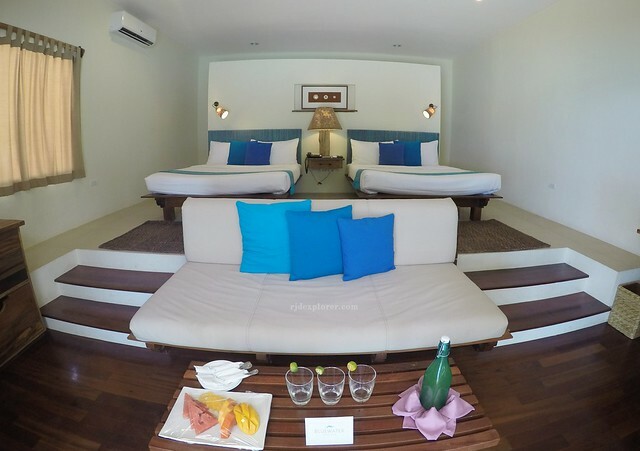 All rooms have the complimentary amenities such as WiFi, flat-screen TV, mini-bar and private veranda. Deluxe and Premiere Deluxe rooms are located between the eastern and western docks having a view of the vast sea and the majestic mountains of Cebu. These types are spread among the 12 cottages, 14 deluxe and 10 premiere rooms, with each cottage having two adjoining rooms. Aside from size, difference between the two is that the beds on the deluxe are not facing the sea. Two queen-bed rooms and the added luxury of having a bathtub. 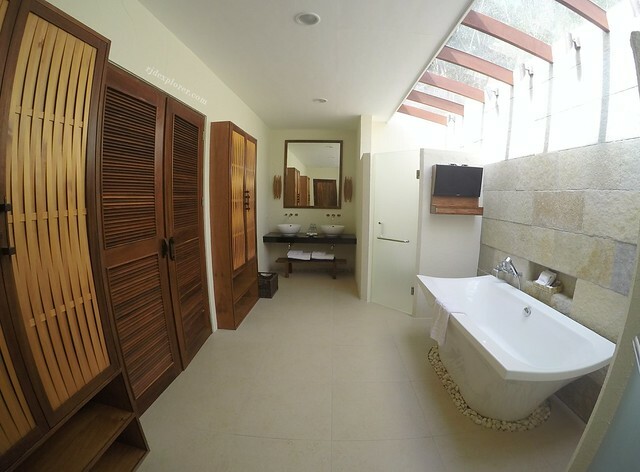 Two Honeymoon Villas (1 King bed) and a Family Villa (1 King bed and 2 Queen Beds) nested above the cliffs of Sumilon island enjoy the same services with added luxury of having their own coffee making facility, bath-tub, and private dipping pool. 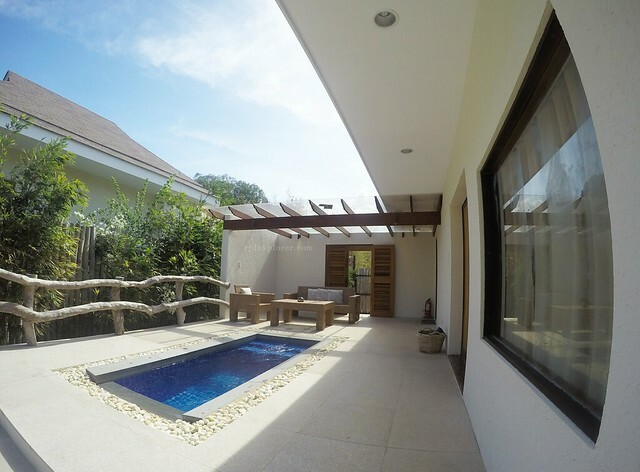 Family Villa and the Honeymoon Villa’s dipping pool. For outdoor people, Bluewater Sumilon also offers glamping, or glamorous camping, where experience offers pre-pitched tents still complete with electricity, mini-bar, closet, toiletries, and the two comfy beds. A personal camping assistant is also present to attend guests’ needs. Guests availing Glamping Package can also enjoy the facilities and amenities of the island resort. Night swims in there infinity pool. 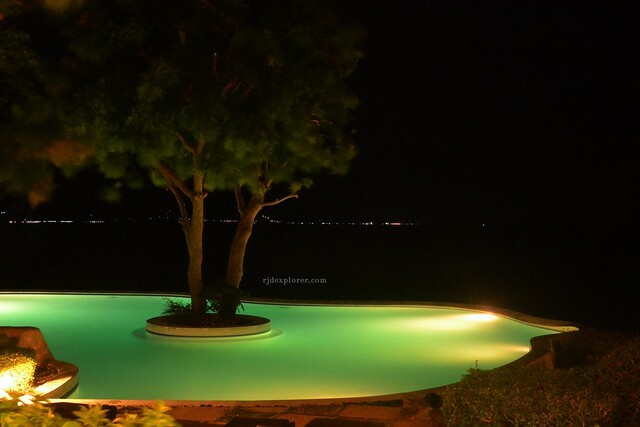 During blue hour, before dinner, we managed to try plunging into the infinity pool that offers a panoramic view of the bay. Two smaller circular pools are located just below the main pool. 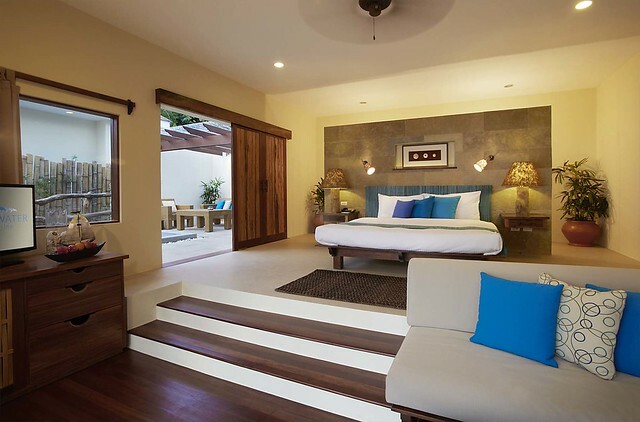 Book your stay at Bluewater Sumilon Island Resort here for discounted room rates. 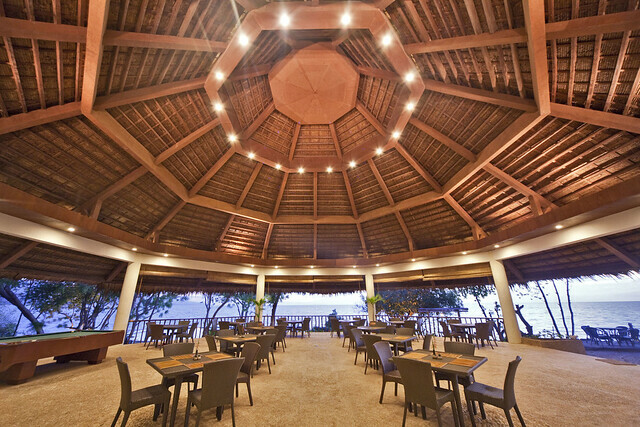 The Pavilion is the one who’ll handle all the preparations of your meals in the resort during your entire stay. 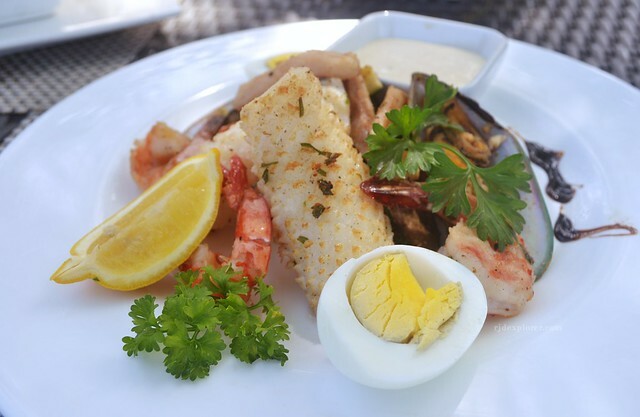 With the octagonal nipa roofing and open air ambiance, a breathtaking view of the ocean is a normal view while savoring the intricately prepared meals. 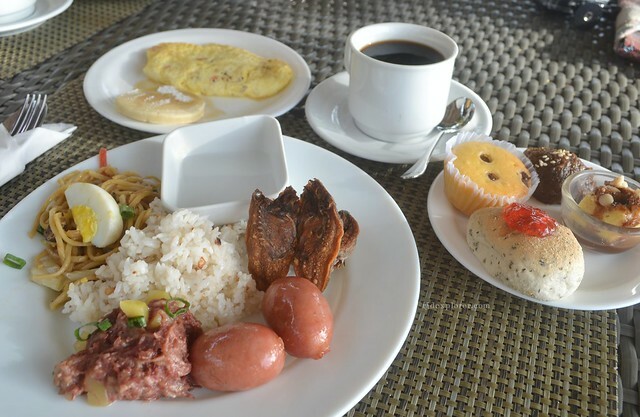 Breakfast being served has numerous sections from cereal, dessert, bread and pastry, salad and cold cuts, soup, and the viands. We had the set meals on dinner time where the chef already pre-selected the dishes to be served. The Pavilion Restaurant with a view. 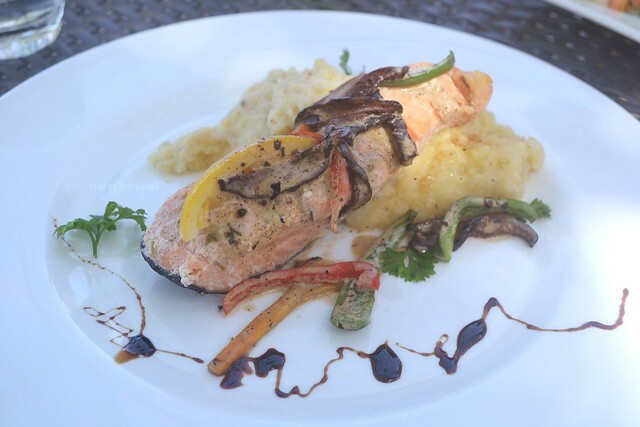 Recommended dishes for ala carte dining are Poached Salmon, Roasted Chilean Seabass, Grilled Seafood Platter, and the Bluewater Sumilon salad. 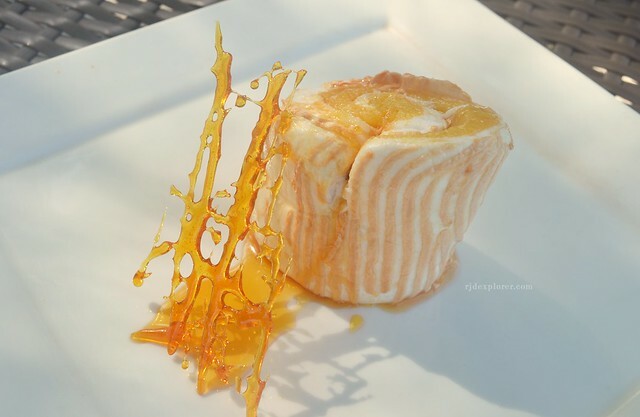 For dessert, we were able to sample the Guinomis, Moist Chocolate Cake, and Brazo de Mercedez. Default beverage during our entire stay is the signature Lemon Grass Tea. Check my separate post featuring The Pavilion Restaurant. Grilled Seafood Platter and Poached Salmon. Breakfast and desserts are really good. We wanted to just stay inside our rooms as much as possible but Bluewater Sumilon Island Resort has a lot to offer in terms of activities. The captivating sandbar is hard to miss with its pebbly to fine sand that shifts during high tide. 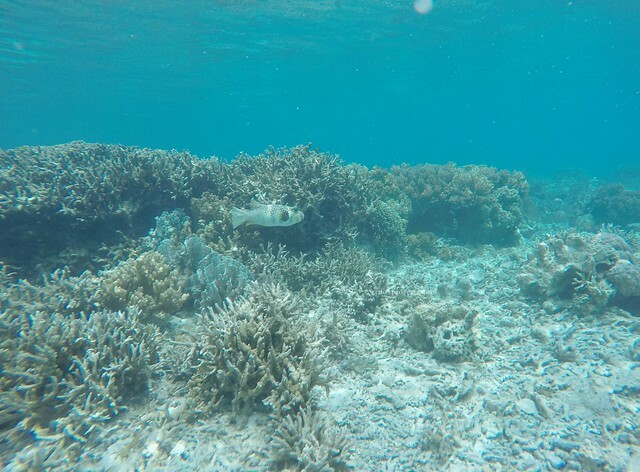 Near the sandbar, about 100 meters, is a marine sanctuary that requires you to dive or do some snorkeling to see the majestic marine biodiversity with corals such as brain, branching and pillar, and cabbage corals. We also spotted fishes like groupers, clown fish, puffer fish, and a lot more. 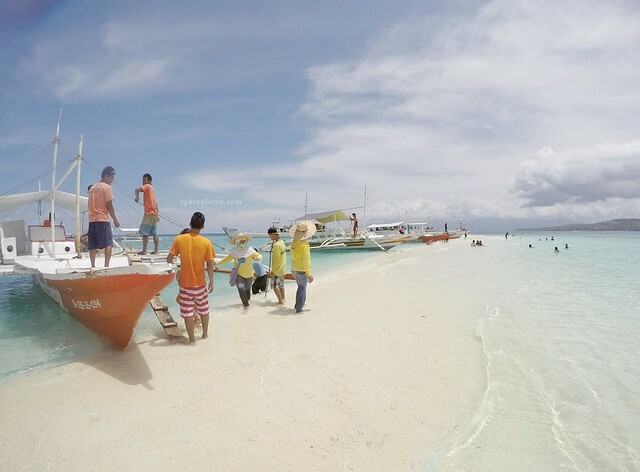 The shifting sandbar of Sumilon island. 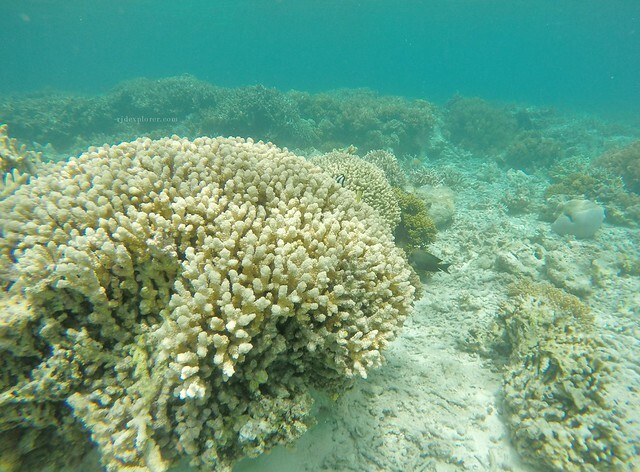 Marine sanctuary a hundred meters from the sandbar. 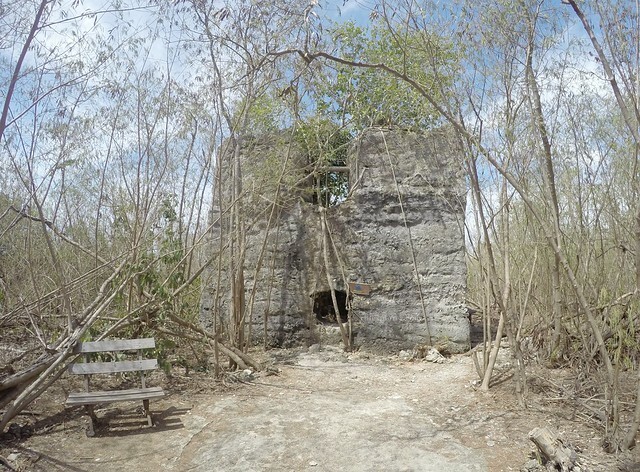 The three different trails, beginner, moderate, and advanced, will let you explore the island and discover its hidden history and culture with a short visit to the lighthouse, baluarte, grotto, and Yamashita cave. You can also enjoy the panoramic views of the nearby islands from different parts of the trail. 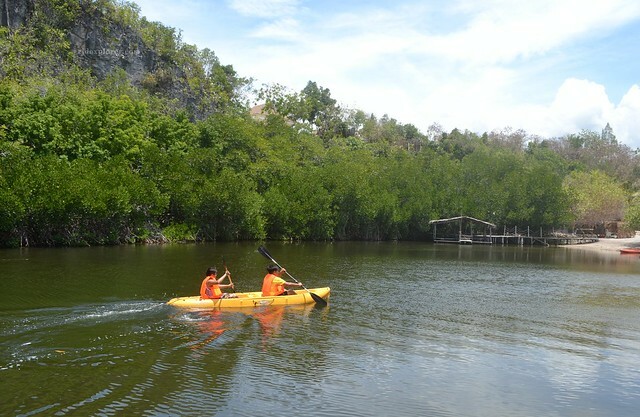 After an exhausting trek, you can have leisure activities in their lagoon like kayaking, paddle boarding, fish feeding, and fishing. 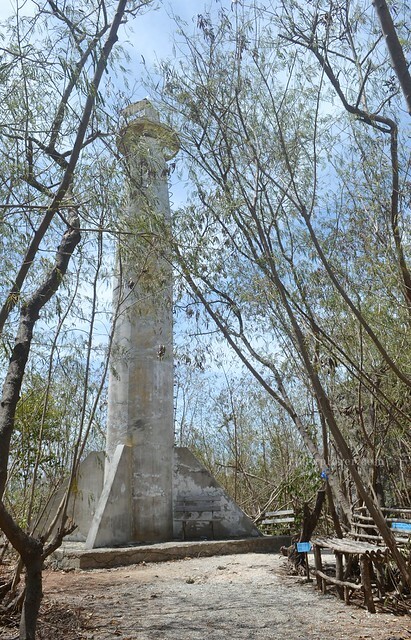 Historical trek to the lighthouse and the baluarte. 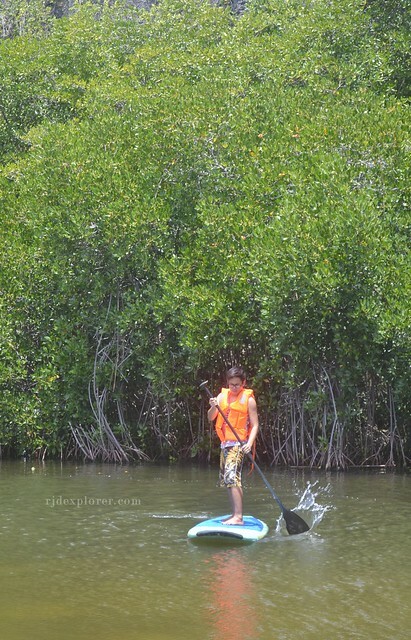 Paddling activities in the lagoon: kayaking and paddle boarding. 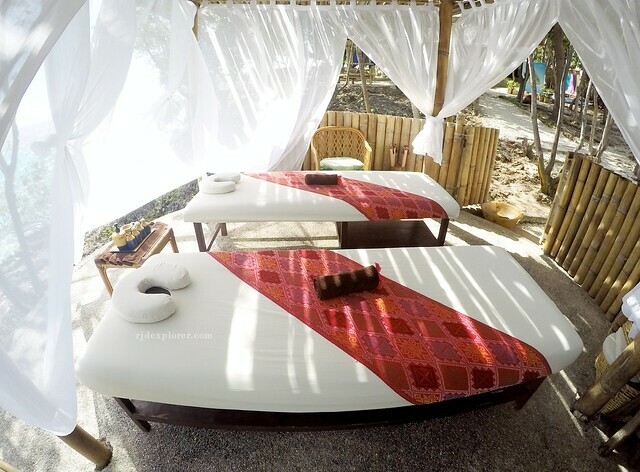 For greater pursuit of leisure and relaxation, Amuma Spa offers different types of therapies developed to feature the best Filipino therapeutic and healing traditions. A full body massage for an hour is priced at Php1500 and definitely will remove the tensions and stress in your body. Signature therapies are Amuma Hilot and Traditional Hilot. 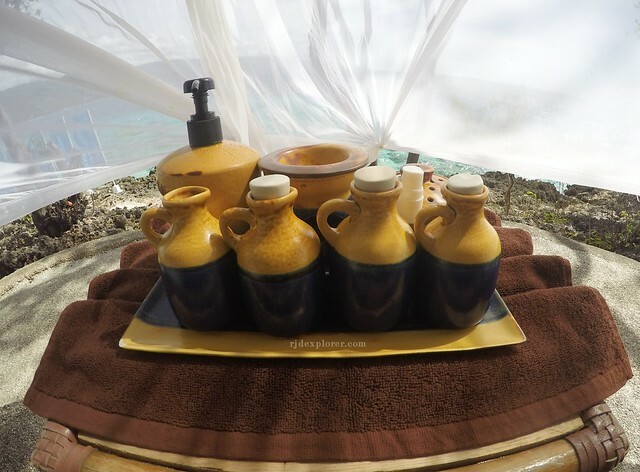 A relaxing massage to complete your island getaway. 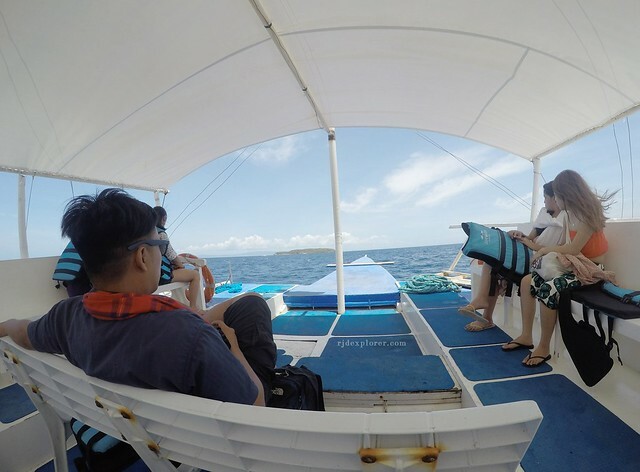 Once in a while, you need a moment to relax, have a break, and indulge in a lavish island getaway, a short time to leave everything behind, except bliss. 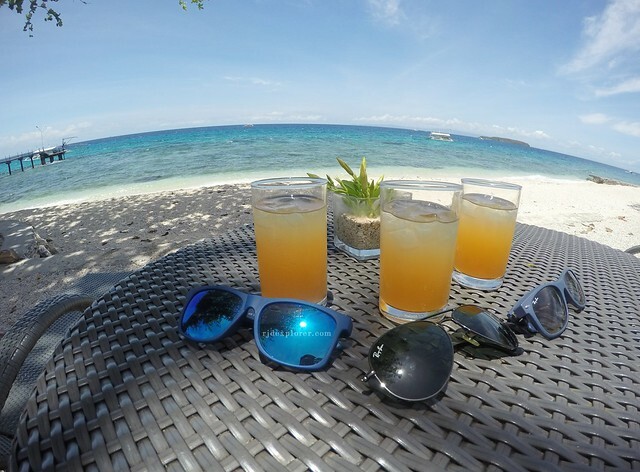 A weekend stay in Bluewater Sumilon Island Resort lets you experience this and will also your ticket to an inspiring beauty, pampering service, and unparalleled serenity in Cebu, Philippines. 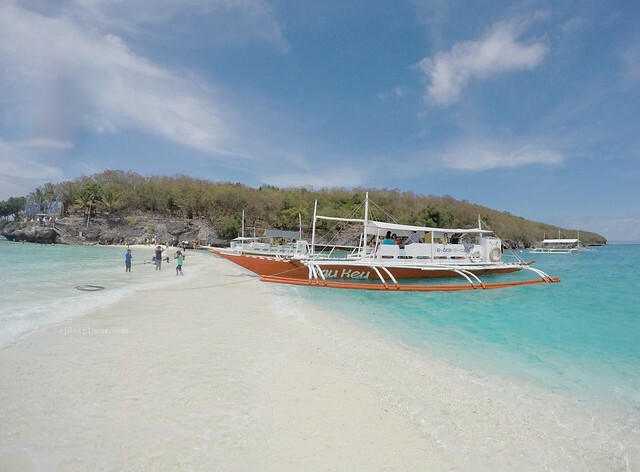 For day tours, you can book your visit at Bluewater Sumilon Island Resort in advance here. 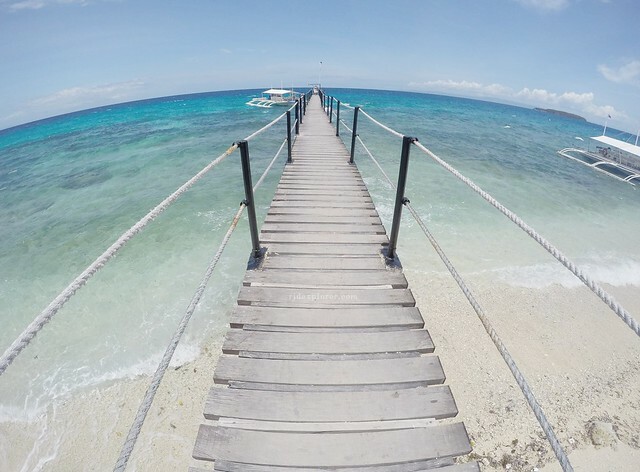 If you want to include Oslob Whaleshark Watching, use this link.